Speeds are low to moderate. Increased stop distance and lane width results in higher travel speeds. Speeds are low to moderate with frequent stops. Congestion, parking, and standing vehicles are more significant than design speed in determining operating speeds. Clear rights-of-way accommodates larger capacity vehicles. Increased stop distance and lane width results in higher travel speeds. Assign additional width to lane buffers. High-capacity or trunkline routes, especially in dedicated lanes. Low to moderate speeds with frequent stops, typically 20 mph or less. 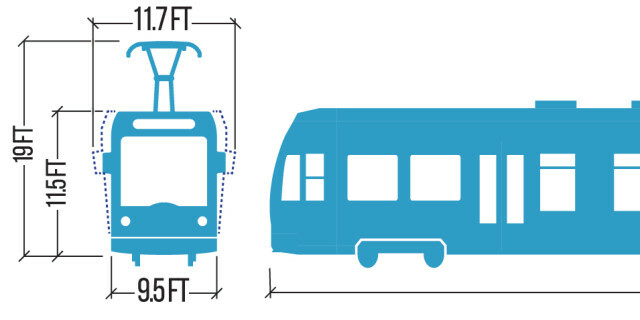 Smaller length and width than LRVs allows operation in more constrained streets. When operated on transitways or dedicated lanes, modern streetcars can be functionally similar to LRT, operating at up to 30–35 mph in some cases. Provide comfortable stations, especially for center-running streetcars. May operate in mixed traffic or shared street conditions. Prevent blockage by stationary vehicles, including overhanging parked vehicles. Longer stop spacing, and often in separated transitway, allows for increased speed, potentially 30–35 mph. 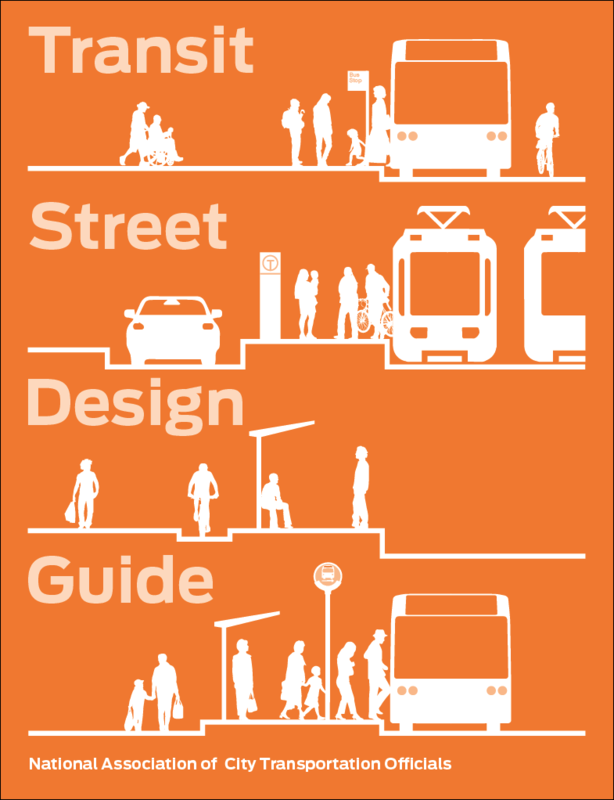 Modern light rail may transition from exclusive guideway to street-grade or mixed traffic conditions as it enters downtown.